Born digital images of the Literary Pub(lishing) Crawl in Beckman 404 of Chapman University. 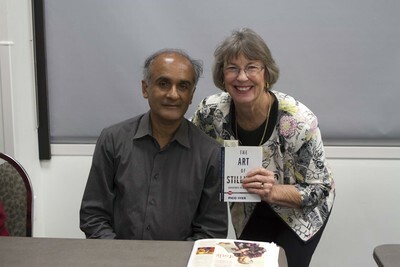 The event featured authors Ryan Gattis, Pico Iyer, Janna Levin, and Gordon McAlpine. The event was produced by Chapman University's Department of English and Leatherby Libraries.